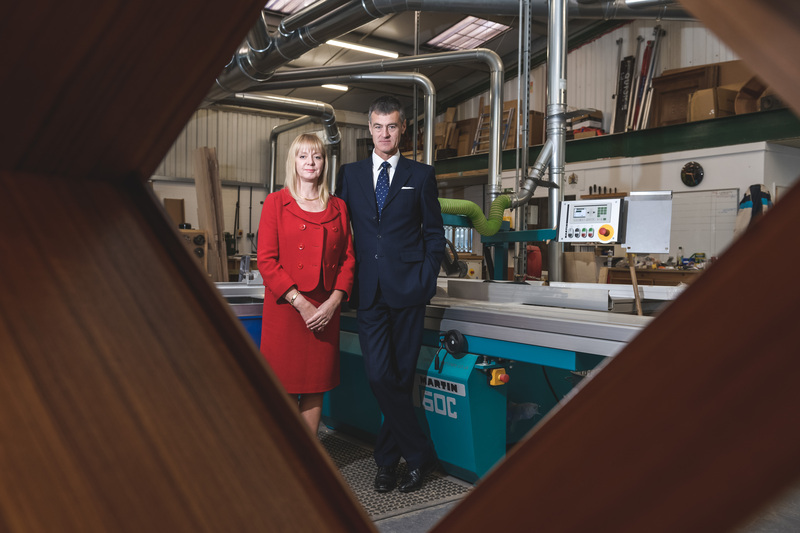 The owners of NEJ Stevenson were not convinced there would be help available to them when they set out their plans for growth but after getting support from Business Ready, the company has been able to accelerate its expansion. NEJ Stevenson is a highly-skilled cabinet making and joinery business based in Church Lawford, which designs and makes custom furniture as well as creating bespoke interiors for premier residential properties. NEJ Stevenson had plans to grow which would require ongoing significant investment in people, machinery and also in its premises. It wanted to move but struggled to find the right space and then planned to expand its current headquarters, only to hit the buffers due to a railway line running at the back of the property. They were issues that were becoming a distraction from what the business did best and managing director Neil Stevenson didn’t think he’d be able to get assistance until Business Ready got in touch. That was on the back of help the company had been given to overcome its planning issues in order to allow it to expand its premises. Neil added: “Business Ready has been absolutely invaluable and we have been able to grow quicker than we would have done without the help and that’s good for the local economy. “As well as the grant-funding and the general advice, it is reassuring for us as a business for someone to show confidence in us in this way and believe in our growth strategy. The company has invested £750,000 in its growth and is accelerating its expansion thanks to the support. It has grown to employ more than 30 staff and is on the hunt for more. It also had a positive result when it came to the expansion of its property. “We’ve bought neighbouring properties in order to expand and we are currently fitting out and creating the most efficient work-spaces possible,” said Neil. Janette Pallas, of Business Ready, said: “NEJ Stevenson is a fantastic success story for our region and proves that we remain at the cutting edge of manufacturing in this area. “They are an example of a business that still use traditional skills, but also use advanced technology in design and manufacturing.